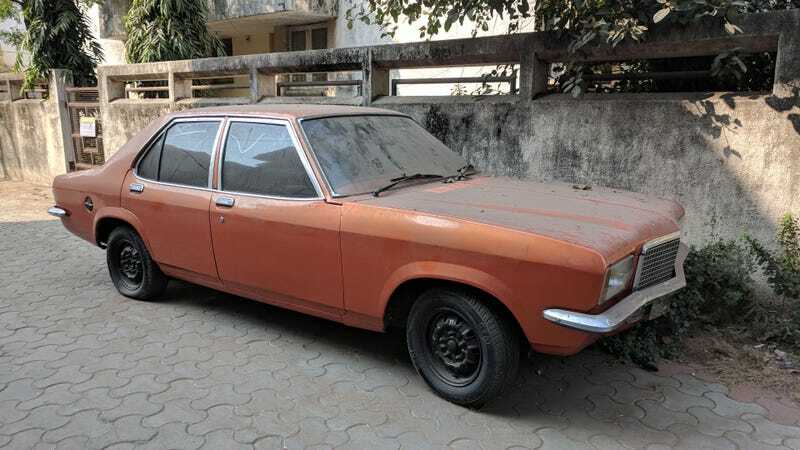 The Contessa was one of the first and very few cars sold in India. It was based on the Vauxhaul VX series and made anywhere from 49hp to up to 90hp in later models. In 1983, it cost 83,437 rupees (roughly $1,200). So naturally, it was popular among rich people and government officials. Back then, a four figure monthly salary was something to brag about. Engineers started off at around 600-700 rupees a month. So for this to be bought in the 80's, in orange nonetheless, is ostentatious.